What is a Stall Torque Motor? 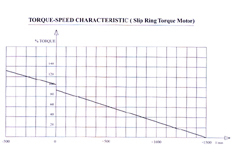 This means that when an energized Torque Motor is driven by an extended source against normal rotation it exerts an almost constant lacking torque on this extended source. The typical property of Stall Torque Motor is used in unwinding application of cable reeling drums. Motorised Cable Reeling Drums (C.R.D.) are used to supply electrical power to moving equipment like Stackers, Reclaimers, Trippers etc. in Steel Plants, Cement Plants, Power Stations, Ports/Docks etc. Cable Reeling Drums are driven by Stall Torque Motors through Gear-Boxes of required ratios. Cable Reeling Drums rotate in both directions depending upon application ( i.e. whether cable is paid-off or is reeled in). 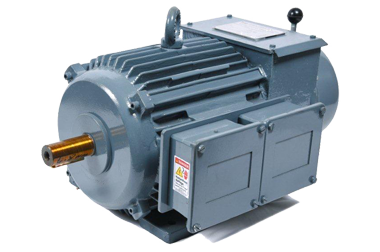 We are supplying motors for cable reeling drums (Motorised Cable Reeling) as per Mark standard and also direct replacement for Demag / AKH / other Chinese manufacturers. Mark Elektriks manufactures Torque Motors since 1971 for various applications. Mark Elektriks has been supplying stall Torque motor for cablereeling drums (Motorised Cable Reeling) since 1984-85 in Squirrel Cage type design and since 1995 in Slip Ring Type design. 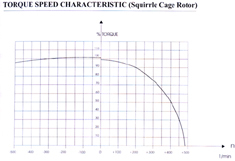 Squirrel Cage Stall Torque motors 2 NM to 10 NM (0.2 Kg-M to 1 Kg-M) , 12 Pole design with fail safe Electromagnetic brake. MARK make Stall Torque Motor, No Load Speed 450 RPM (12 Pole), 3 Phase, 50 Hz, 415 Volts, Foot Mounted (B-3 Construction), Class ‘F’ Insulation, suitable for 50°C ambient; Cont.rated, fitted with ‘EMCO’ make A.C. failsafe Electromagnetic Brake, Totally Enclosed Surface Cooled (TESC) Enclosure. (Brake Coil Voltage will be 415 Volts). Protection IP-54. Tolerance for stall torque + 10 % to - 5%. MARK’ make Stall Torque Motor (Slipring Type) No Load speed 1500 RPM (4 Pole), 3 Phase, 50 Hz, 415 Volts. Foot Mounting ( B3 Construction) Class ‘F’ insulation, suitable for 50°C ambient. Continuous rating S1 (100%) Fitted with EMCO make A.C. failsafe Electro Magnetic Brake (Coil Voltage 415 Volts ). Totally enclosed Surface Cooled. (TESC) enclosure. IP 55 protection.